Do you sell materials used during the Masterclass? – Have a question? Find the answer here. 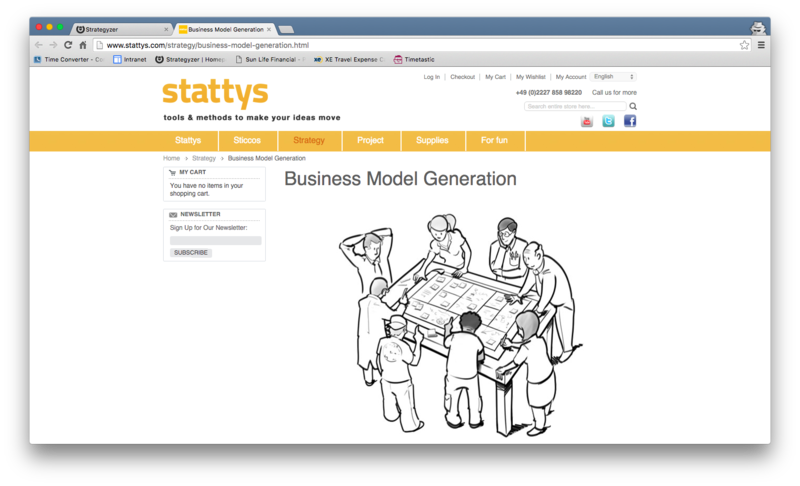 Strategyzer is a supporter of Stattys, a German company that produces an ingenious, statically charged version of the traditional sticky note, as well as other products used to run effective workshops and meetings. If you have ever attended one of our Public Masterclasses, you have noticed Stattys. They use recyclable material that attach naturally to almost any surface without glue and can be removed and reused multiple times. Stattys also produces printed versions of our canvases, Business Model Canvas and Value Proposition Canvas, in multiple sizes. They even make an all-in-one BMG Toolkit that contains everything you would need to run a business model workshop. Please visit http://www.stattys.com/products to order Stattys, print-outs and toolkits. 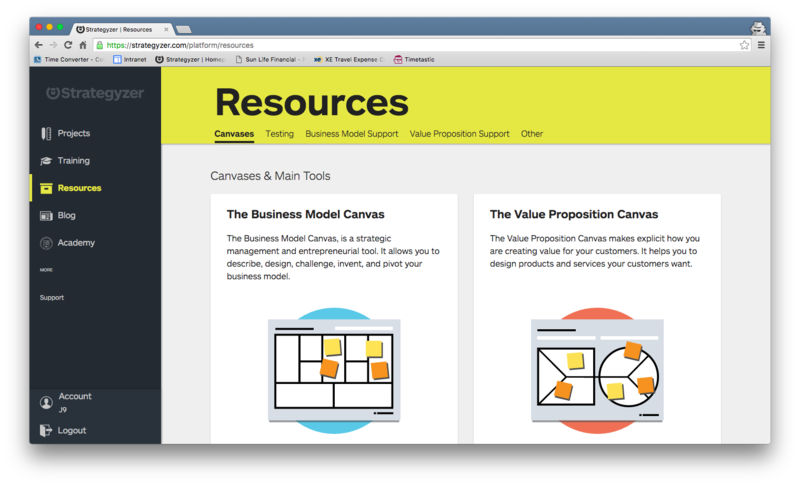 You can also find our materials available for download from the Resource section of your Strategyzer account. Once you've signed in, find Resources on the side menu bar. Here you can access both canvases as well as other materials handed out during Masterclasses.